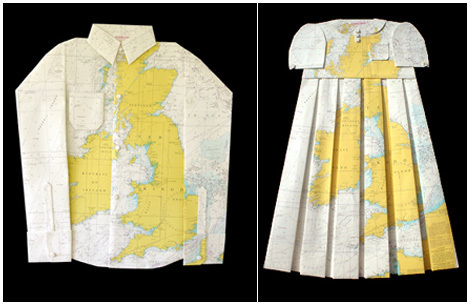 Elisabeth Lecourt: Map Art clothing. OH my goodness — it’s the fusion of my favorite things! I collect maps, clothes and fashion. Thanks. I love it! I would totally rock that dress. Awesome.